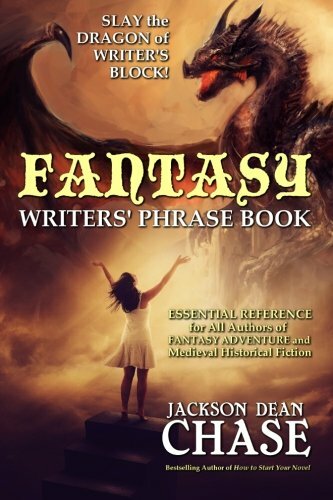 [PDF] Fantasy Writers' Phrase Book: Essential Reference for All Authors of Fantasy Adventure and Medieval Historical Fiction (Writers' Phrase Books) (Volume 4) | Free eBooks Download - EBOOKEE! Description: Slay the dragon of writer's block! This inspiring book arms you with over 3,500 heroic ways to describe the perils of combat, magic, monsters, and more Works for all kinds of magical or medieval worlds, including: Epic High Fantasy, Grim Sword and Sorcery, Historical Fiction, and Alternate History. This book is a treasure chest of exciting descriptions designed to help you write everything from aristocrats to zombies. It's the holy grail you need to forge bestselling adventures, so what are you waiting for? Accept the quest and fulfill your destiny! No comments for "[PDF] Fantasy Writers' Phrase Book: Essential Reference for All Authors of Fantasy Adventure and Medieval Historical Fiction (Writers' Phrase Books) (Volume 4)".